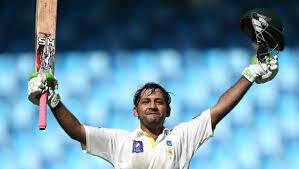 Sarfraz Ahmed was born on 22nd of May, 1987. He was raised in the metropolis city of Pakistani, Karachi. He belongs to an Urdu-speaking family which means his ancestral history goes back to India who after partition, migrated to Pakistan. Sarfraz Ahmed is a top cricketer but he did not set his academics apart. He holds a Bachelor’s Degree in Electrical Engineering. He acquired his undergraduate degree from Dawood University of Engineering & Technology that is located in Karachi as well. 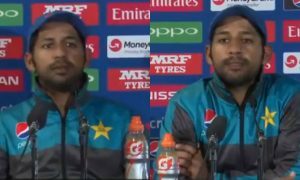 Sarfraz Ahmed is also a Hafiz-e-Quran, by the grace of Almighty Lord. It is known that he learned the Holy Quran by heart by the age of 10. 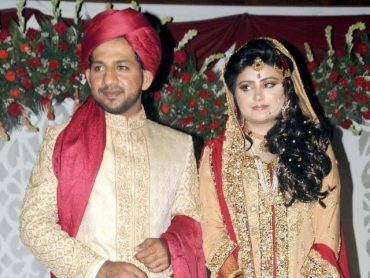 Sarfraz Ahmed is married to Syeda Khushbakht Shah. 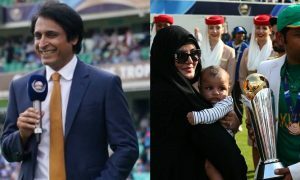 The couple has a son from this marriage, named Abdulla, who was born in February of 2017. Indian Cricketer MS Dhoni was pictured holding his baby and his hands and it went viral on social media. Sarfraz Ahmed always played in wicket-keeping position for Pakistan. He has represented Karachi in domestic cricket from the start. He got his chances to earn a spot in the team after he outshined in the under-19 squad. What could prominently be said about his early career entails one glimmering day when Sarfraz Ahmed carried the under-19 on his shoulders alone. During 2006, under-19 world cup kicked-off and Pakistani team were brought to face rivals India. Sarfraz took charge of the team and outshined in what was such a phenomenal and one of the best displays this young lad has ever portrayed. Eventually, team Pakistan thrashed India in a low-scoring game by 38 runs. It was indeed a memorable game and Sarfraz Ahmed was on the verge of big call-ups. Breaking the match down, the Pakistani team totaled for only 109. They batted first and failed to put through a concrete score for India to chase. However, where there is pressure, there requires leadership for morale boosting and channeling the game strategically. Sarfraz put steered a victory in one of his credible captaincy displays. His teammates remember the spine-chilling words that he spoke to inspire everyone. He was a beacon of hope for them, a lone ranger who did not want to bow down and played every card in his deck to stay in the game. His bowlers did what they were told so, and India was bowled out for jus 71 runs. Team Pakistan clinched the trophy, thanks to the brilliance of Sarfraz! His first major victory in Cricket. 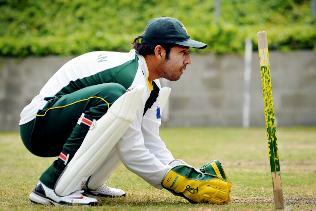 Kamran Akmal rendered as the first team wicket-keeper for Pakistan cricket team. In 2007, Karman was suffering from an injury, ruling him out for Pakistan team. Ultimately, Kamran Akmal could not be called up for the squad to face against India in 2007. 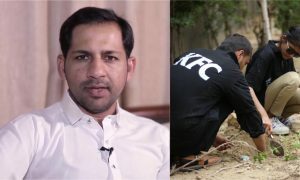 Pakistan needed a wicketkeeper, someone with hands-on experience as well as sharp skills… Sarfraz Ahmed hailed as the first option for the selection committee. His leadership skills and knowledge on the pitch favored him to be the right choice for Karman Akmal’s replacement. Eventually, Sarfraz Ahmed was called-up against India and he made his official first team debut on 18th of November, in Jaipur. Once again, Sarfraz Ahmed was preferred over Kamran Akmal in 2008. This time, Kamran was out of form, while Sarfraz primarily impressed everyone. This was another time when Sarfraz greatly impressed with the spectacular job he did behind the wicket wearing his gloves. Followed by in 2012 came the Asia Cup that was even better for the likes of Sarfraz Ahmed. Pakistan team were surrounded by trouble against Bangladesh. Someone needed to stand up, take charge and bring a strategic plan that would turn the things around. Apparently, none other than Sarfraz Ahmed was able to save a dying game. This time, Sarfraz cashed himself with his top batting. He stood firm with lower batting order on the other side and scored highest runs in the innings. He was not out with 46 runs and ultimately emerged victorious. In the end, Sarfraz Ahmed lifted the Asia Cup, beating the odds in such a staggering showdown! Sarfraz made his debut in Test cricket on 14th of January, 2010 against Australia. Thereafter, Kamran Akmal was preferred over Sarfraz and this decision was very questionable because Kamran was consistently putting shambolic performances, dropping crucial catches, leading to big losses for the team. However, it could not go on for longer because Sarfraz, the savior was again called up for national service in South Africa. He played 3 Test matches against South Africa, but he was out of form and only performed his best in the last Test game that took place in Centurion. 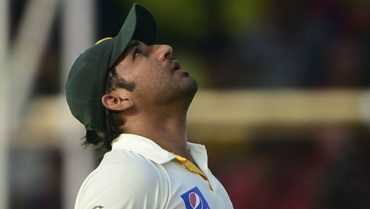 Afterward, Sarfraz did not perform up to the mark. He struggled but strived harder. He tried to outshine again and was successful in putting a formidable individual game but was not given credit. He was ignored and sidelined. In fact, the selecting committee did not even consider him once for the World Twenty20. He was out of national duty and chose to play domestic cricket, strived harder to win his spot back in the team and remain in good shape and form. How could you silence a hungry lion? You just couldn’t! In 2014, Sarfraz Ahmed returned to the team. He outperformed both Kamran Akmal and Adnan Akmal and was the right choice if Pakistan were to play well. 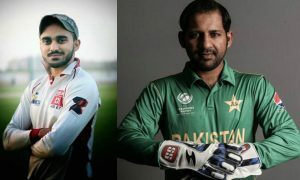 He was now the concrete choice for Pakistan in wicket keeping. Besides, he has also been lodged a heap of criticism, especially by Amir Sohail. The Sri Lanka series opened ways for him because he scored consistent half centuries on this tour. He also performed great against New Zealand and Australia in the subsequent series. 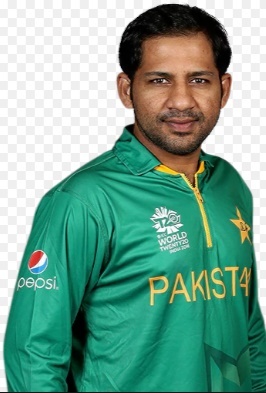 After playing the World Cup, Sarfraz became a regular for Pakistan. In Pakistan Super League, he captains the Quetta Gladiators side. He sailed his underdog side all through the finals in the first edition of PSL. He was immensely praised for his efforts and captaincy and was kept as the captain. 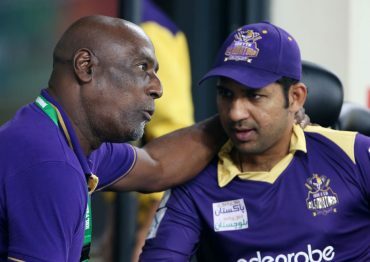 Sarfraz again represented Quetta Gladiators in PSL and once again his captaincy was well worth everything because Quetta made it to the finals once again. After a successful PSL, Sarfraz Ahmed has been named first team Captain of Pakistan cricket team for both T20 and ODI. He will captain the team in the upcoming T20 and ODI tour of West Indies! 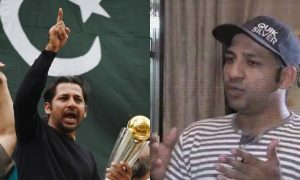 Sarfraz Ahmed is well-acclaimed among his fandom; his recent meeting with a fan bears testimony to it. 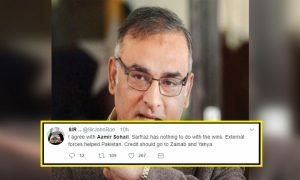 Aamir Sohail Levels Shocking Criticism on Sarfraz Ahmed and Pakistanis Are Not Happy!